April’s meeting highlighted the research and practice of Kim Soss, Architecture Librarian and Head of the Graham Resource Center at IIT’s SR Crown Hall. Kim is committed to working with artists and designers in the greater community, to support research on socially critical design and education, and to maintain an art practice. All members of LWD are encouraged (by Kim!) to reach out for assistance in any of your upcoming research projects. 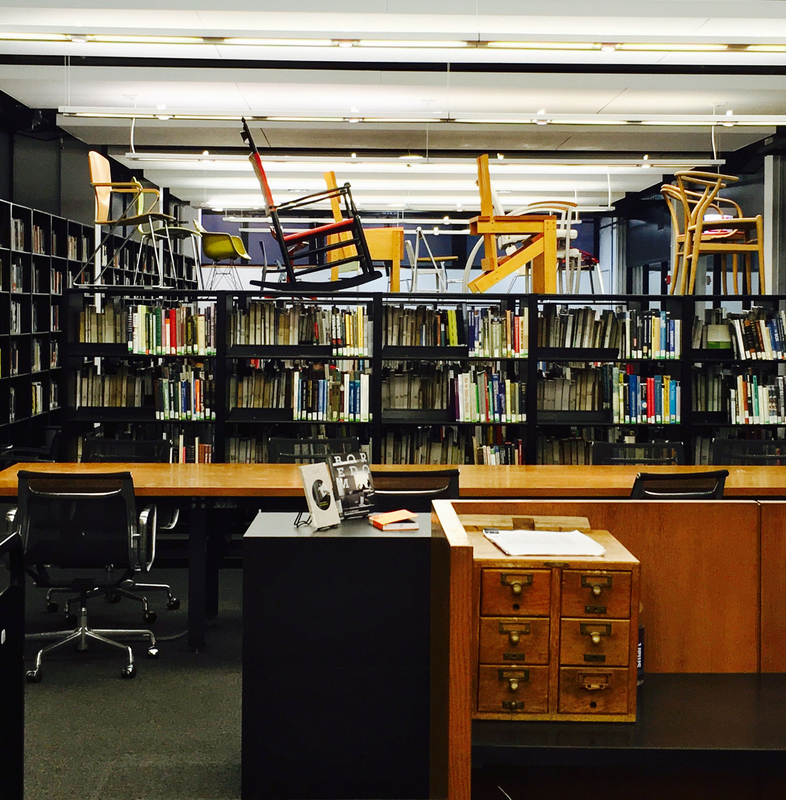 Kim gave us a tour of the iconic Mies Van der Rohe building and the library, which is Chicago’s only library of architecture, landscape architecture, and design. This is a fantastic resource, so be sure to check out the catalog. Kim received a BFA in 1994 from the School of the Art Institute, with a focus on metalsmithing and performance art. She spent many years working as a dealer of historical design and craft, particularly mid-century modern furniture and jewelry of studio craft movements, eventually opening her own Chicago store, Arrow. As that business evolved, and she became more interested in researching design history than in its business, she returned to school, earning her Masters in Library and Information Science from University of Illinois Urbana-Champaign. Soon thereafter, she joined the College of Architecture at Illinois Institute of Technology, where she has worked with students and faculty to support research and curricula.